Enjoy a cooking demo, walks, and talks at the Arboretum. Nancy Silverton will cook at the Wild Mushroom Fair. It's at the LA Arboretum on Sunday, Feb. 12. While mushrooms are often cited as lending a dish a meaty flavor, you rarely hear the compliment paid the other way. Is meat every mushroomy? Rarely. Which is but one testament to fungi's enduring culinary powers. Another testament? The Los Angeles Mycological Society is about to hold its 28th Los Angeles Wild Mushroom Fair. Fact: You don't get to year 28 of anything in this world unless you're on to something good. Mushroom lovers -- let's call them mycologists to feel a bit fancy -- know they're onto something good, and they'll share that good knowledge with fans on Sunday, Feb. 12. That's the date of this year's fair and the location? The appropriately lovely and at times loamy LA Arboretum. It's against some rule to write a post about mushrooms and not use the word "loamy," we think. 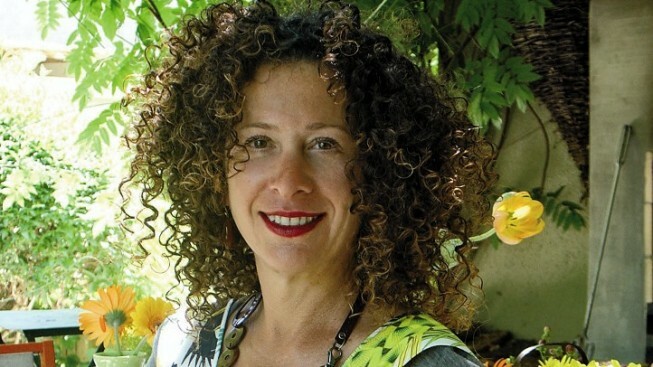 Happening at the fair: Nancy Silverton, LA's own restaurant wonder, will stage a cooking demo. Have you ever seen the shroomy slices on the pies at her Pizzeria Mozza? They're large and glisteny and tasty. Experts will talk and walkers will walk on guided tours and "mushroom-themed vendors" will purvey their mushroom-inspired goods. If anyone is selling a t-shirt there that says "I'm just a fungi" we implore you to purchase it. Thank you, mushrooms, wild and not, for your meaty, marvelous way. You're a friend to grains, pastas, butter, and oil alike. Not every ingredient can lay such claim.